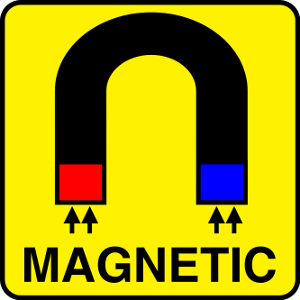 This powerful magnetic 'drag' is manufactured from Ferrite magnets. 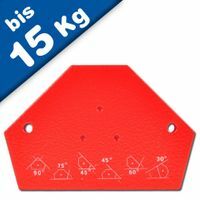 It enables the quick and safe lifting and transportation of steel sheets. 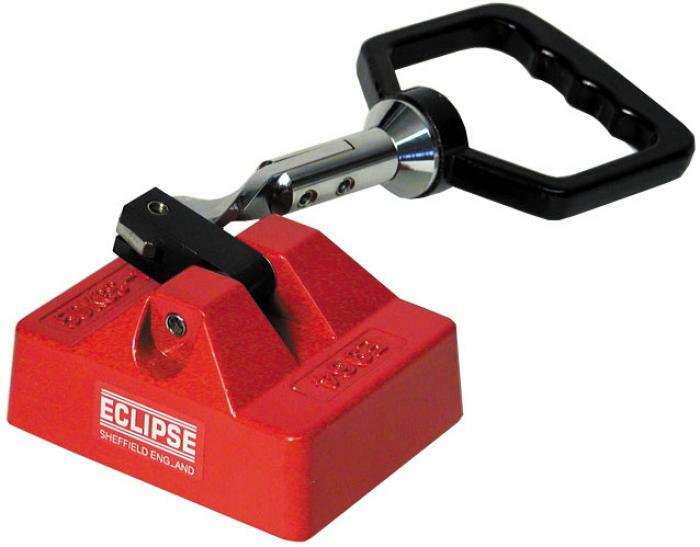 The grip is also used as a lever for disengaging the work pieces. 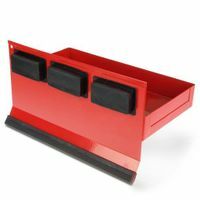 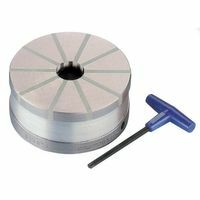 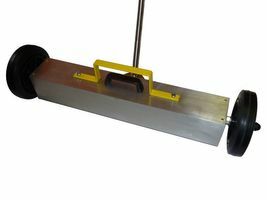 Operated by a simple handle cam release mechanism, this switchable magnet is ideal for moving sheets of steel and removing plasma cut shapes from scrap steel skeletons avoiding sharp edges and potential injuries. 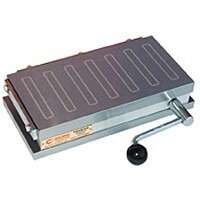 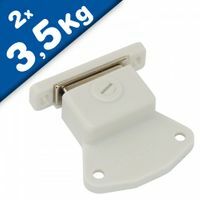 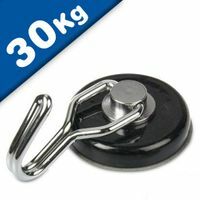 When the handle is dropped the magnet will release the attached material quickly and easily. 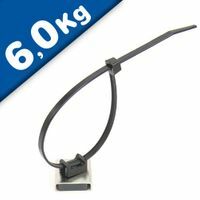 Each magnet can support a steel weight of 50 kg vertically from the magnetic face when in flush contact with a mild steel surface of equal thickness.